Warranty Period 1 Year Manufacturer Phoebe Micro, Inc. 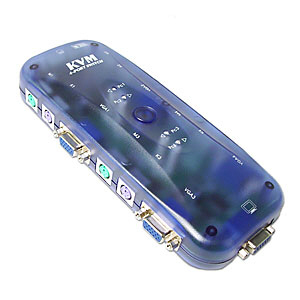 This KVM switch enables a user to control 4 different PC's using one keyboard, monitor, and mouse. It provides many features that make this unit an easy to use, powerful, and affordable solution to your budget!! Easy Installation -- A truly plug and play device. Complete installation within minutes with standard cables.